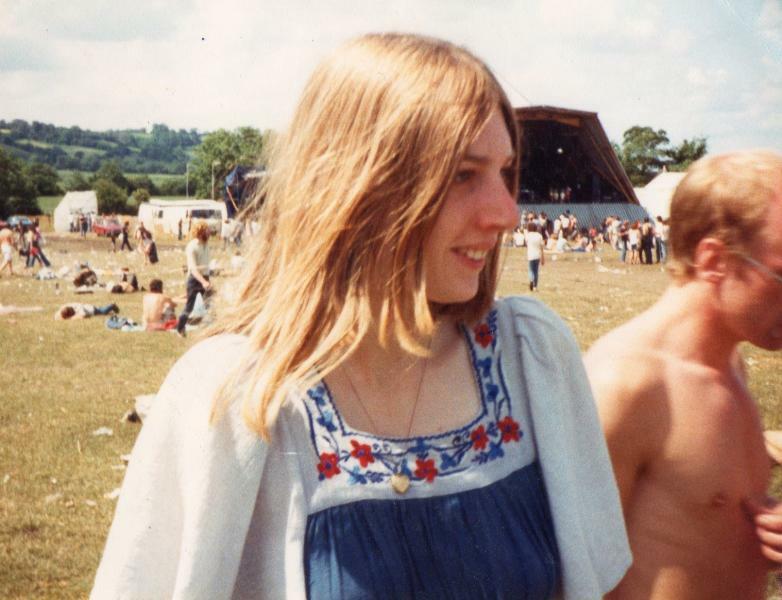 My Harry Potter look, 1982. 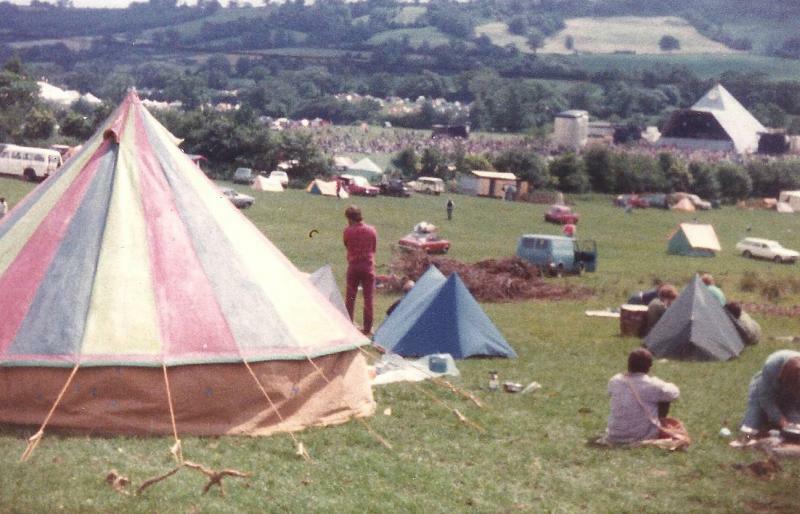 The festival did turn out to be quite magical...The kitbag probably contains the weed supply for that weekend. 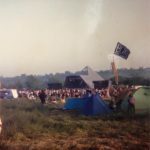 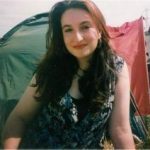 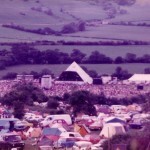 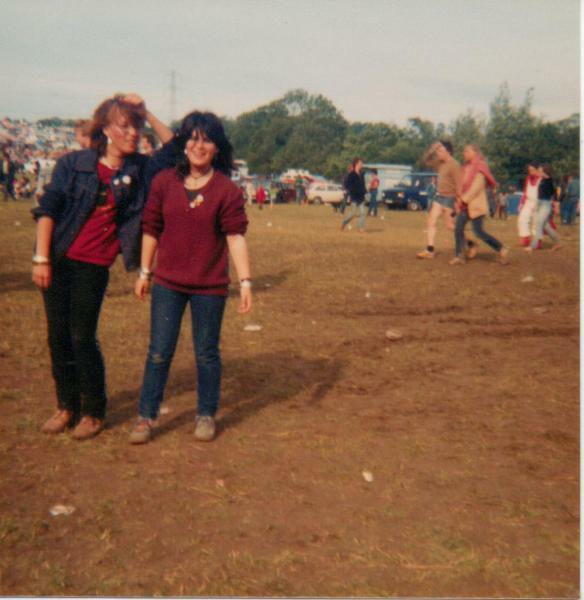 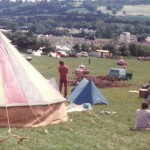 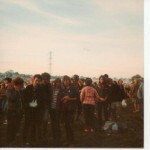 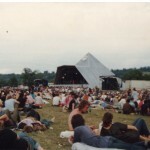 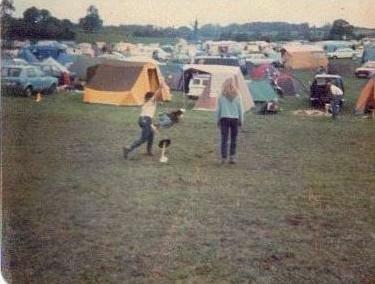 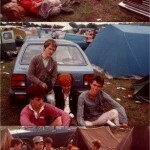 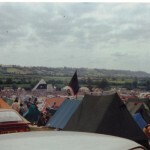 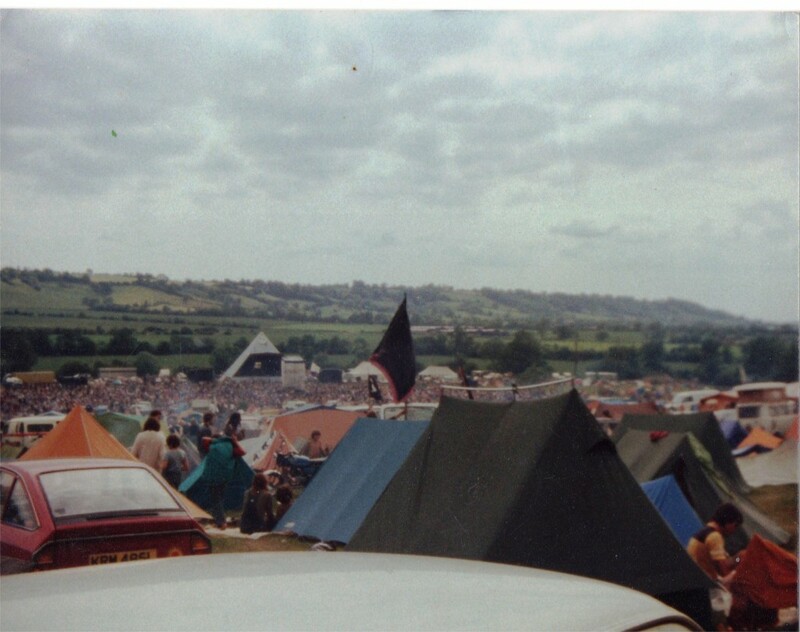 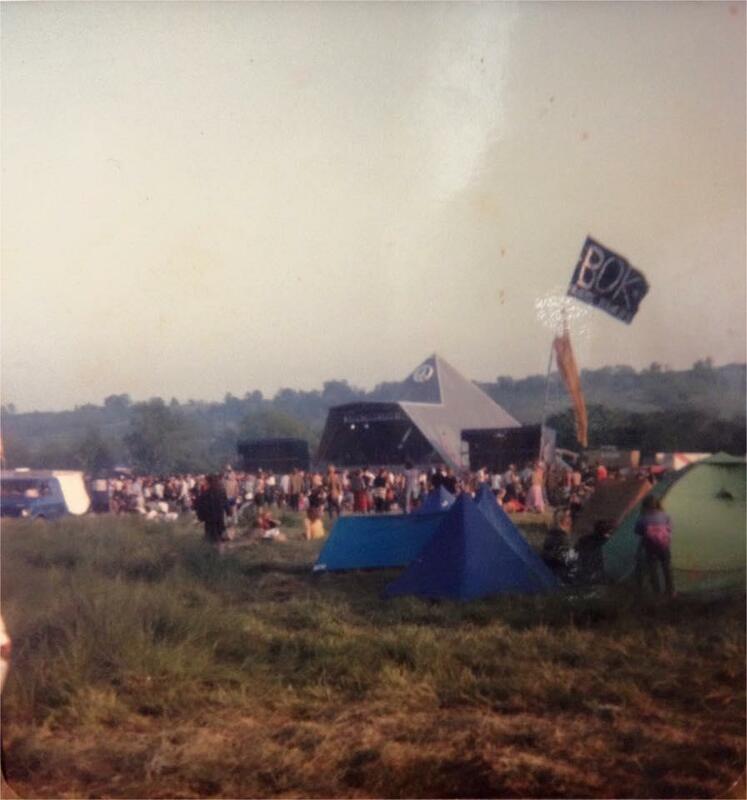 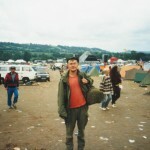 This was my 3rd and last time at Glastonbury. 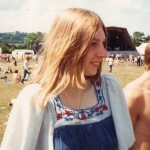 I went with Graham Hersey. I go to smaller folk festivals these days!! 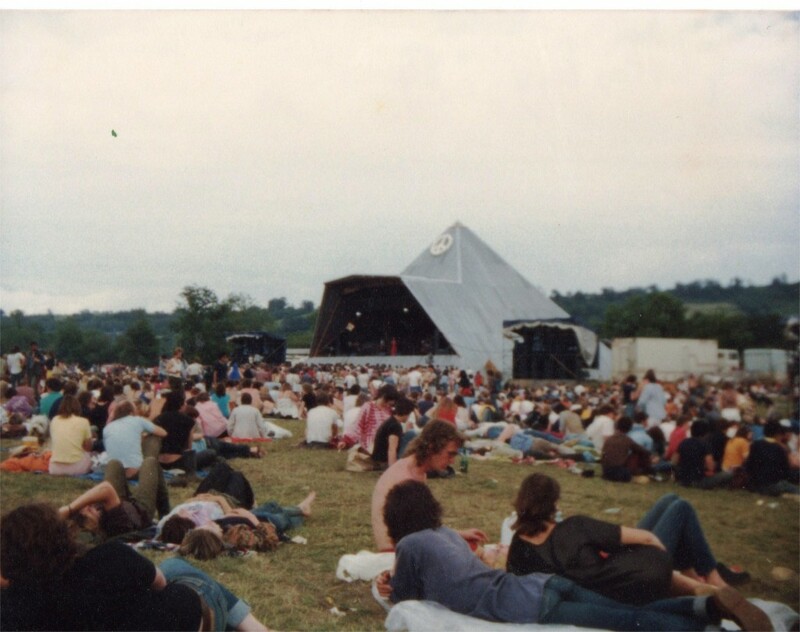 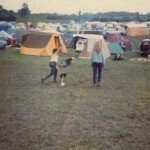 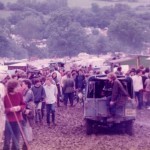 Nice Empty Fields,Those were the days!